Where do you even begin to start writing about Marilyn Monroe? I've been meaning to write about what Marilyn means to me for awhile now and even sitting here I struggle to find the words. I find my inspiration when I look at the photo above, which was taken by Alfred Eisenstaedt for LIFE in 1953. It is a beautiful photo to be sure and Marilyn is stunning, but I look at it and just see sadness, as I do with many of her photos. She may not have been sad at this moment and 1953 was indeed a breakout year for her with the releases of Niagara, Gentlemen Prefer Blondes and How to Marry a Millionaire, but knowing what I know about Marilyn Monroe makes me just feel pity and sorrow for the poor little lost girl by the name of Norma Jeane who just wanted to be loved. I've always wondered what Marilyn's life would have been like if she knew that 54 years after her death, she would still be one of the most recognised of all movie stars past and present and to many personifies old Hollywood and its glamour. Her luminous face is printed on countless pieces of memorabilia in the souvenir shops that line Hollywood Boulevard and tourists flock to see her handprints at the Grauman's Chinese Theater forecourt and take photos with her star on the Hollywood Walk of Fame. Even those who just know the basics about Marilyn, will talk with conviction about how she was a legend and about how much they admire her. Yet, in life she was incredibly insecure regarding her acting ability and always worried that people weren't taking her seriously. Norma Jean Mortensen was born on June 1 1926 to a single mother, Gladys and a father who Norma Jean never knew and was never named. She never experienced a stable childhood as she was moved from home to home because of her mother's mental condition and as a result, struggled to find and hold onto love. This constant need to be loved followed Marilyn for her whole life. She was always on the lookout for someone who would love her with their all and never leave. Marilyn married three times (Jim Dougherty in 1942, Joe DiMaggio in 1954 and Arthur Miller in 1956) and this neediness was something each husband experienced. She aspired to become an actress believing that it would make people love her and ultimately bring her happiness. 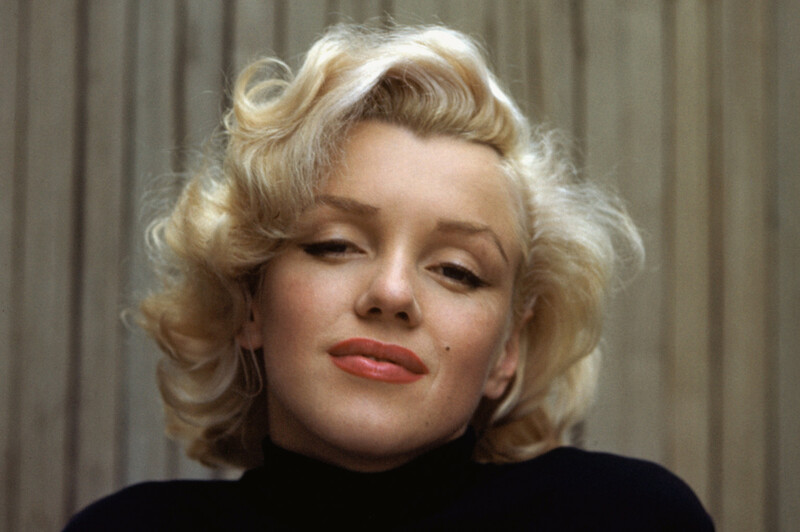 Fame certainly found her, but as Marilyn Monroe and not Norma Jean...who were two very different people. 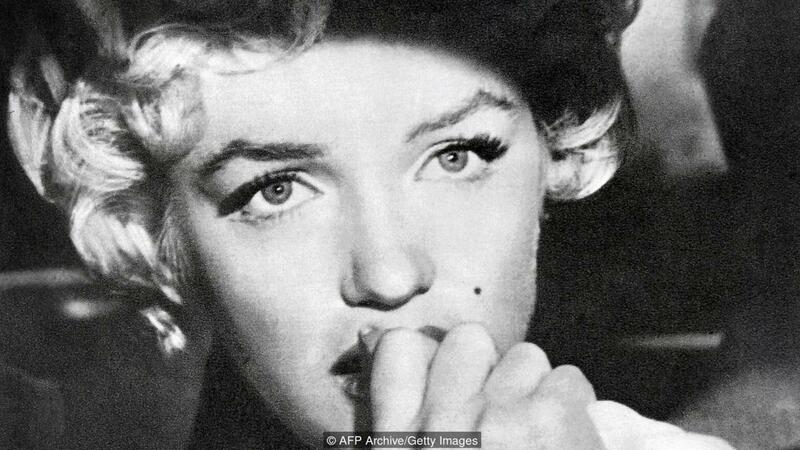 Norma Jean had reinvented herself as the persona of Marilyn Monroe (although the studios gave her the new name) and it was Marilyn who was being loved, not Norma Jean. For someone who had had a childhood riddled with abandonment, she was destined to struggle in Hollywood and she was unfortunately always going to feel the pressure of the studio system. Poor Norma Jean never really had a chance of pure and all encompassing happiness as Marilyn Monroe. 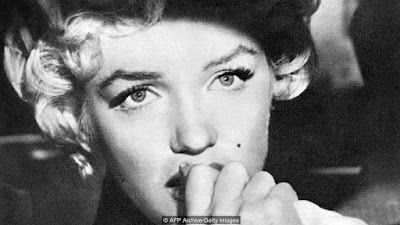 But....if by some crazy way she was able to see into the future and see how loved she still would be and how many girls would still admire her for her beauty and glamour, would Marilyn's mentality have been different? For the girl who was always worried whether she was loved and whether she was being taken seriously, a snapshot of how much she dominates the world and our minds when we think about old Hollywood would surely have made a difference. So my point is that we can all learn from Marilyn and not in the way that many people believe. Marilyn Monroe is an extraordinarily loved Hollywood historical figure not just for her beauty, but also for her films which are still widely available today. She was always worried that she wasn't being taken seriously, but history has always taken her very seriously. Maybe we can all remember Marilyn next time we wonder if people are taking us seriously and if we are loved? We often see ourselves in the harshest light and Marilyn was no exception, but the world see's us differently to the way we see ourselves. When I started reading books about Marilyn (I have to this date read biographies by Barbara Leaming, Michelle Morgan, Fred Lawrence Guiles, Donald Spoto, J, Randy Taraborrelli and Anthony Summers), the lyrics of "Candle in the Wind" by Elton John (as above) suddenly made complete sense to me. I feel so sorry for poor Norma Jean having to go through life looking for someone to stand by her and take her at her best and her worst. It does make you feel as though you somehow should have been there for her no matter how impossible that is. So our lesson learnt is that the world often sees us differently to the way we see ourselves, as was clearly the case with Marilyn Monroe. It is easy for us to see how loved she was then and how loved she still is, but her mind was clouded over by her insecurities and sadness. If only she had had a crystal ball to see the world now and know that she is still a part of it in a way she would have loved.